Gerard Collins’s novel Finton Moon has been shortlisted for the 2014 Heritage and History Book Awards by the Writers’ Alliance of Newfoundland and Labrador. 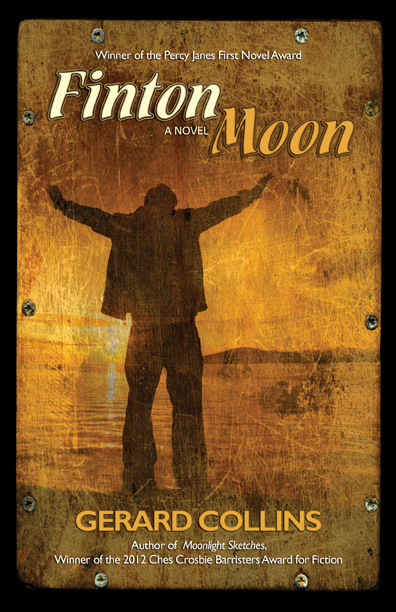 Finton Moon was nominated for both the 2014 Dublin IMPAC International Literary Award and the 2013 Sunburst Award for Excellence in Canadian Literature of the Fantastic and won the Percy Janes First Novel Award. Collins’ short story collection Moonlight Sketches won the 2012 Newfoundland and Labrador book Award (Ches Crosbie Fiction Award). The Heritage and History Book Awards are given to works that exemplify excellence in the interpretation of the history and heritage of Newfoundland and Labrador. Alternating between works of fiction and children’s/young adult literature in even years, and non- fiction and poetry in alternate years, the shortlists are selected from among those submitted to the Newfoundland and Labrador Book Awards. The winners will be announced at the Awards Ceremony on Tuesday, December 9.